Students are social animals that think. What else does one need to know? 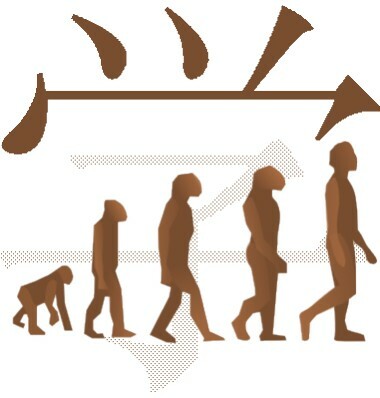 Evolutionary Psychology is a cousin to that other great movement, the Cognitive Revolution. Both desire to explore how one , and are unhappy with vague or mentalist answers. Bruning described the Cognitivists as believing â€œUnlike the associationist-behavioral view, which focused on environmental influences on behavior or “conditions of learning. Cognitive psychology seeks to understand the mind’s structures and processesâ€ (1995). Similarly, Evolutionary Psychology was founded in reaction to the â€œgeneral-purpose, content-independentâ€ (Tooby & Cosmides, 1992, 41). As the old paradigms are now in their â€œlast throesâ€ (Carmen, 2006), it is time that Evolutionary Psychology and Cognitive Psychology be combined to give educators the best possible guide. Evolutionary Psychologists and Cognitive Psychologists agree that human mind is composed of modules of domain-specific applications. Humans possess â€œmodulesâ€ that are pre-existing mental processes that allow context-specific learning and whose differing operations make us unique (Pintrich and Garcia, 1994, 125) . As Smirnov, Arrow, Kennet, and Orbell put it, â€œThe idea that human cognitive architecture consists, in substantial part, of functionally specific information processing modules is standard in evolutionary psychology and in cognitive neuroscience more broadlyâ€ (2006). In other words, â€œthe mind/brain consists of many modules/organs/intelligences, each of which operates according to its own rules in relative autonomy from the othersâ€ (Garnder, 2003). Medical tests show that various modules of the mind are related to specific regions of the brain (Jung-Beeman et al 2004; Gilbert, Regier, Kay, & Ivry 2005). From the everyday, such as talking (Buller, 2005; Pinker, 2002) and judging attractiveness in others (Olson & Marshuetz), to pro-social activities such as voting (Fowles, Baker, & Dawes, 2006) , to the more abstract areas such as political orientation (Alford and Hibbing 2004, Alford, Funk, and Hibbing 2005; Morris et al 2003), how our species evolved influences how we act and what we do. Thus, I propose a theory of motivation rooted in exploiting student’s neural-cognitive modules. I will outline methods of motivation that are adapted to small group and large group interactions and defend them with new research. Just as it is sad and foolish for researchers to ignore the importance of teaching (Halpern, 2002, 5), teachers must improve their methods by utilizing the latest research. I will argue as follows: For students to be motivated, they would have had to practice motivation for hours. It is unlikely that students have put in this practice, so teachers must use indirect mechanisms for creating motivation. Framing and group competition are two such mechanisms teachers such should. Framing is straight-forward and hangs on the known predilection to avoid losses more avidly than seeking gains. Group competition relies on altruism and altruistic punishment. These are not merely broad categories that contradict each other (as are, say, Csikszentmihalyi, 1996), but quantitatively defined qualities that are seen in laboratory conditions. We know what expertise requires: “endless hours of practice” (Ridley, 2003, 260). Practice separates the talented from the incompetent (Gardner, 1998, 28) and sustained effort separates critical thinkers from the naive (Reiter, 1994, 302) . It takes around ten years to become really good at something (Ross, 2006), whether the activity is academic publishing (Kiewra, 1994) or even showing emotions (Crawford, 2006). Learning how to be motivated is no less a skill than writing articles or overcoming the flat effect, but many teachers ignore this lesson when they assume that students can just turn motivation on. Merely telling students to be motivated cannot possibly work, any more than one can just tell someone to be good at any other talent domain. Additionally, relying exclusively on motivation may be unfair, as many learners may be genetically predisposed to depression, novelty-seeking, and other conditions that detract from purposeful practice (Caspi et al, 2003; Hammock & Young, 2005). Therefore, I propose a subversive style of motivation that bypasses a conscious desire to excel at the material and instead achieves results. As one might trick a geographer into caring about literature by mapping literary lands (Cooper-Clark, 1996, 172) or subvert a student into thinking by contradicting established beliefs (Ruiz, 1996, 159), students should manipulate the environment to make students act as if they were truly motivated.